DJ Unbeetable! 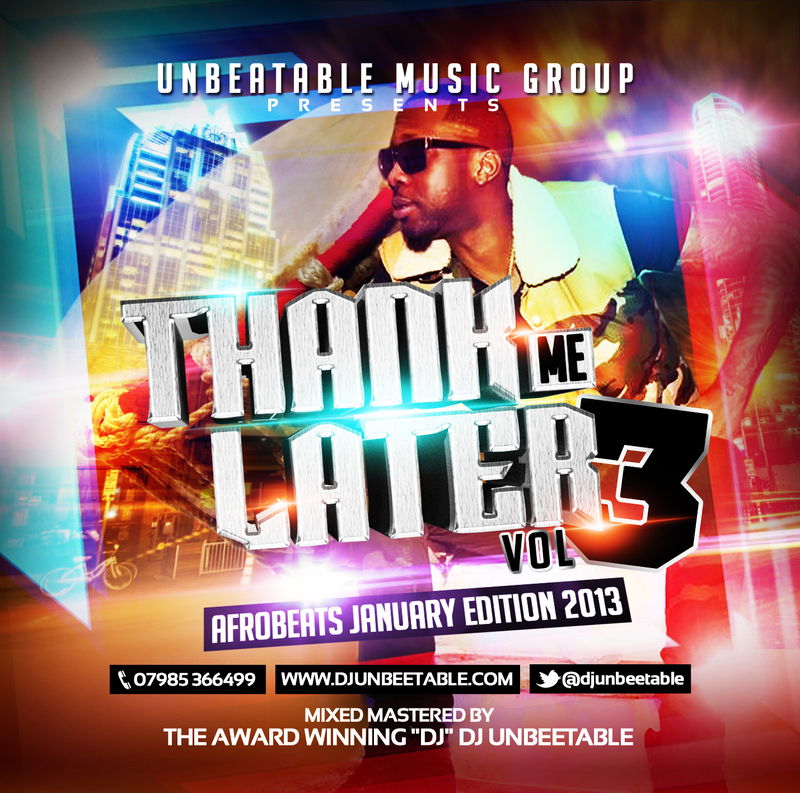 One of the UK's best and baddest DJ's has dropped volume 3 to his mixtape 'Thank Me Later'. Last year the award winning DJ made major movements across England as he released volume 2 of 'Thank Me Later' as well as dropping two new music videos and singles and DJ'ing at some on some of the biggest stages with some of the biggest artists. 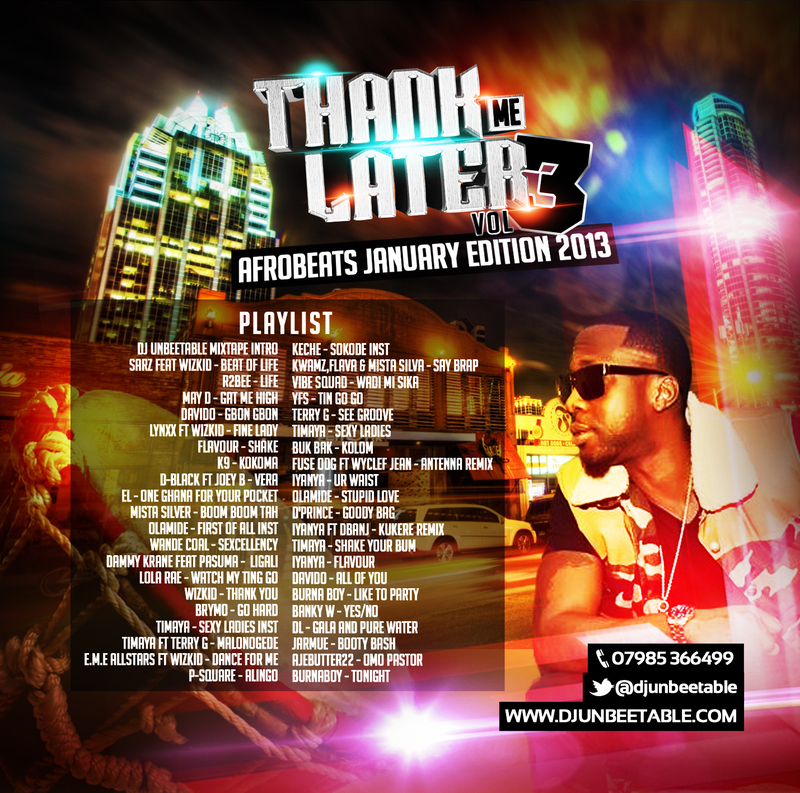 The new Afrobeats mixtape features songs from Wizkid, May D, Davido, Flavour, Mista Silva, Lola Rae, Burna Boy and sooo much more of your favourite African artists from UK to Africa and all around the Globe! Enjoy his new mixtape - which you can stream/download for free below!